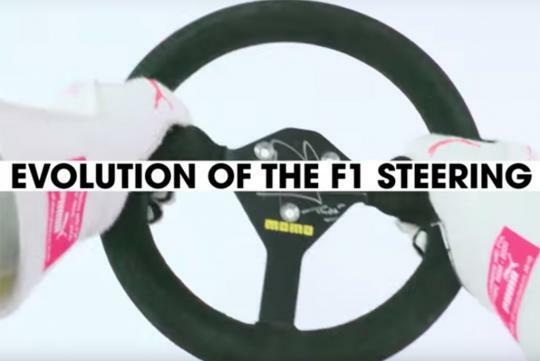 Here's a cool video showing the evolution of Formula 1's steering wheel as the years go by. Starting from the 1960's which is basically just a wheel and nothing more, the video shows us how the wheel changes as technology creeps into the sport. Starting from the 80's, buttons and dials started appearing on the wheel and by the 90's, advanced electronics allowed the changing of engine maps and other systems via the wheel in the form of knobs. Today, the wheel is hardly recognisable as a wheel. If you ask us, we think it looks more like a game console controller!